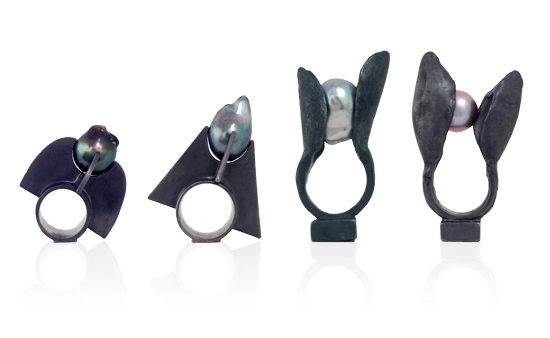 Introducing the latest addition to the Winterson range of exquisite pearl jewellery. 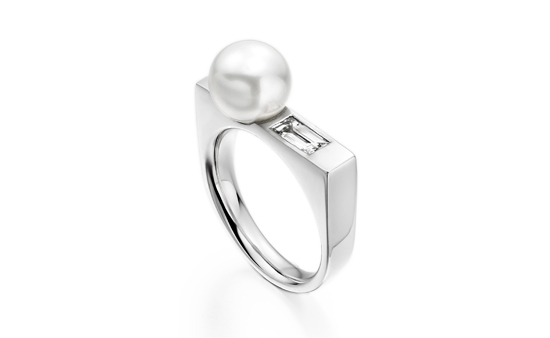 The Luna Ice South Sea Pearl Ring, a timeless piece of jewellery with an irresistibly modern twist. A stunning addition to any Christmas wish list. Capturing the spirit of winter time with its highly polished 18 carat white gold setting, ice-clear diamond and stunning South Sea pearl in purest, silvery white, the new Luna Ice ring is the product of our design work with up-and-coming British jewellery talent Alice Cicolini. Cultured in ocean waters off the coasts of Australia and Indonesia, South Sea pearls are notable for their silky lustre. The perfectly round 8.5 mm pearl in the Luna Ice ring is perfectly complemented here by the subtle sparkle of the art-deco style baguette-cut diamond set beside it. A new contemporary design to treasure.